17-19, Rue de la Fourche, 1000 Brüssel, Belgien. 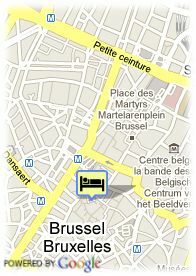 Floris Arlequin Hotel is ideally situated a stone's throw away from the historical centre of Brussels, the Grand' Place. 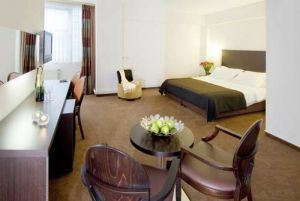 Offers 92 well-equipped rooms, all recently renovated, with television, phone with internet connection, air-conditioning and bathroom. The 7ème Ciel breakfast room offers unique views of the Town Hall and Grand Place of Brussels as well as a tasty breakfast buffet. Bezahltes öffentliche Parkplätze in der Nähe des Hotels (überdachte) (13.80 €) (0.20 km). Bahnhofsnähe, Stadtzentrum, in der Nähe der Altstadt, in der Nähe der Einkaufszentrum.